We have good reason to fear sharks and lions. None of us wants to be an animal’s next meal. 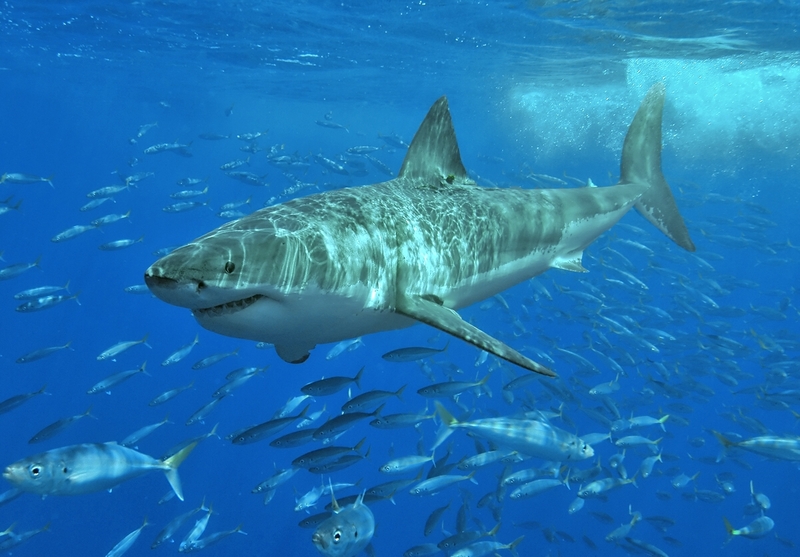 And a number of recent fatal shark attacks in Western Australia have intensified the issue of human-predator conflict. In response, the WA Government has introduced a shark cull to create “safe zones” for beachgoers – with the first killing on the weekend. Thousands of people, including surfers, have since rallied against the move. So what are the broader consequences of losing sharks and other large predators? Landmark research in the international journal Science this month reviewed the conservation status and ecological roles of the world’s 31 largest carnivores. Our study suggests that we should be greatly concerned about the ongoing loss of predators. We studied lions, tigers, African wild dogs, leopards, cheetahs, wolves, lynx, otters, bears, hyenas and dingoes. The study spans all continents except Antarctica. Alarmingly, roughly 75 per cent of all predators are declining and headed towards extinction. So unless genuine and urgent efforts are made to conserve these animals, many of them could be gone for ever. What happens when predators decline or, worse, disappear? In short, wherever we looked, we saw major environmental problems. Research on Australia’s top predator, the dingo, tells a compelling story. Over much of the continent, this native predator is shot and poisoned to protect livestock. But science has now shown that by killing dingoes we make life easier for introduced foxes, cats, goats and pigs, as well as native kangaroos. This has many impacts: most importantly the net loss of our native animals. And in many cases, we actually lose more stock after killing dingoes. More sophisticated solutions to managing dingoes are available, like the use of livestock guardian dogs. Globally, when top predators are lost, the number of mammals grazing on vegetation goes up, causing soil erosion, lower carbon sequestration and loss of habitat for native animals. Predators can also prevent the spread of disease. In Africa, we are also seeing children forgoing an education to stay home and help their families protect crops from raids by rising numbers of Olive baboons, once kept in check by leopards and lions. Like other top predators, they are critical to keeping environments in balance. When large sharks are culled, numbers of rays and smaller fish species increase dramatically. Because these smaller species feed on commercially valuable fish, the economic impacts can be huge. If endangered and legally protected species such as great white sharks are targeted and killed under government orders, we are surely within our rights to request a full cost-benefit analysis. We need to make sure millions of taxpayer-funded dollars are not being wasted or even making things worse. Persecuting sharks is not the answer. The management of any wildlife should be based on sound scientific evidence, not political rhetoric. Clearly, predators have far-reaching ecological, economic and social benefits that are grossly underappreciated. There is no doubt predators pose challenges, such as wolves attacking livestock and sharks attacking humans. But education and new management practices offer alternatives to culling. When sharks were culled in Hawaii there was no long-term benefit because shark attacks occurred immediately after. This is because many species of shark are migratory – some travelling thousands of kilometres. This means killing sharks in a local area only is doomed to fail. Public education programs about sharks and installing shark exclusion nets is more sensible. It is telling that many recent victims of shark attacks have come out to protest against the planned shark cull in WA. Clearly, many people, including those most deeply affected, want smarter solutions to coexisting. With all of this in mind, governments must find and encourage better ways for people and predators to live together. Failure to do so places us all at risk. This entry was posted in Media, Publications and tagged extinction, predators, sharks on 28 January 2014 by Euan Ritchie.